LOS ANGELES, CA - 10/22/2015 (PRESS RELEASE JET) - Walter O'Brien, the inspiration behind the CBS hit show Scorpion, and founder and CEO of international consulting firm, Scorpion Computer Services, received the Outstanding Achievement Award from the Wexford Chamber of Commerce. O'Brien received the award at the Wexford Business Expo, which attracted over 2000 visitors daily, and hosted the exhibits of over 100 entrepreneurs and business owners. The event--themed "Capitalizing on the Recovery" included Angels' Den, Speed Networking, a Business Connections hub, Peer-to-Peer mentoring and workshops all to help entrepreneurs and business owners connect and grow. O'Brien spoke at the event through satellite video call from Scorpion Computer Services headquarters in Los Angeles, California. O'Brien was born in Wexford, Ireland. He was granted a coveted EB-11 visa for persons of strategic interest, which allowed O'Brien to immigrate to the United States. Of O'Brien's involvement, Madeleine Quirke, CEO of Wexford Chamber said, "With renowned guest speakers from across the country, attendees are guaranteed that they will receive the best business advice available." O'Brien received the Outstanding Achievement Award along with a commemorative pin attached that was numbered 197 in recognition of his IQ score. Of the event, O'Brien said, "I'm enthralled to see the Wexford City Council and Wexford Chamber of Commerce support Irish businesses through the Wexford Business Expo. It's an inspiring event. I'm honored to be asked to speak and contribute to the biggest Expo in the South East." O'Brien has come off a year of multiple awards and business launches, including a recent nomination from the City of Los Angeles mayor's office for Irishman of the Year. He was also honored by the mayor of Kilkenny, Ireland. Earlier this year, O'Brien spun off Scorpion Studios to advise major motion pictures studios on technology in film, with clients that include Columbia Pictures and its upcoming Spiderman: Venom, film. He is also the executive producer of the hit television show, Scorpion, now in its second season. 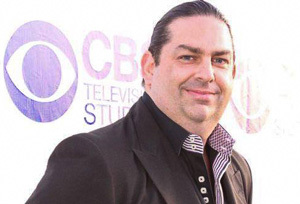 Walter O'Brien is the CEO of Scorpion Computer Services, CEO of Scorpion Studios, the founder of ConciergeUp.com, and the Executive Producer of Scorpion, the hit CBS-TV drama with over 26 million television viewers that is inspired by O'Brien's life. The U.S. Department of Homeland Security has certified Walter O'Brien as being a person of national interest to the United States and granted him an Extraordinary Ability EB 1-1 Visa. He has worked with the U.S. Department of Homeland Security, plus Navy and Air Force systems to employ his artificial intelligence systems to protect American military personnel. In addition, he has worked with multiple Fortune 500 companies including the world's largest mutual fund, Fujitsu, Trados, Oracle Corporation, Baltimore Technologies, and Critical Path. O'Brien serves as chairman or board member for Strike Force Solutions, Talentorum Alliance, and Lawloop. O'Brien regularly donates his time and talent to helping charities and the community in general to encourage new generations to celebrate intelligence.